ACX is an Amazon company that sells books in the audio book format. They make audio books available on Audible, Amazon, and iTunes. The least you need to know is audio books are still an emerging market. Compared to Amazon’s twenty-five million plus titles, Audible has just 150,000 audio books available. Over the next five years, that number is expected to grow to over one million audio books. That puts audio books in the same position Kindle was in three or four years ago. Audio books are a growth market, and there’s plenty of opportunity for good books, producers, and narrators. Getting started on ACX is easy for authors. Visit ACX.com. Midway down the page, you will see an address bar that asks you to enter your ISBN, book title or author name. 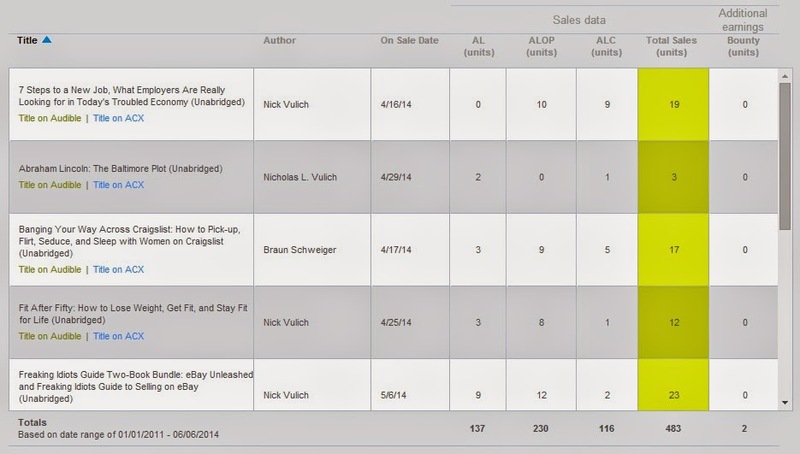 After you do this ACX will display your book or a list of your books. To get started click on the This is my book tab, and you will be taken to the next step in the process. Select how you want to make your book available. I’m looking for someone to narrate and produce my audio book. I have this book in audio, and I want to sell it. I will narrate my own book and upload it later. The first option is what most authors should select. It will help you to find a qualified narrator to read and produce your book. When you select, this option ACX shows you their book posting agreement. To proceed to the next step you need to read it over and click Agree & Continue. On the next page, you’re asked to fill in some general information about your book, and who it is directed at. The book description is prepopulated for you with the information from your Amazon book page. Where it asks for copyright information, normally you are the copyright owner for the book and for the audio book. Fill this information in along with the year of copyright. You’re asked if your book is fiction or nonfiction. Then you’re asked to select the one category that best describes your book. Below that you need to answer some general questions about the ideal narrator’s voice you’re looking for. Try to be as specific as possible when you’re filling this section out. It will save you from listening to a lot of auditions that totally miss the mark on what you want. Use the additional comments section to list more information about your book, or about what you are looking for in a narrator. When I listed my books I talked about their ranking on Amazon, how many books I was selling monthly and weekly, and how I was promoting them. Producers told me this information was a big help to them in choosing my books because it helped them decide if the project would pay off for them or not. I considered a few of my books marginal, meaning they were only selling a few copies a month in Kindle or paperback. I let producers know that and explained to them the books were short, easy to produce, and while they might not make a lot of money on the project, it could be fun. I think producers appreciated my honesty. All twenty-three of my projects were snapped up within a few days of listing them. The last step on this page is to upload your audition script. You can upload a file or link to a URL where you have the audition script located. ACX doesn’t give you a character length to use as a guideline. I generally upload three to five pages of text. Don’t just choose the first few pages of your manuscript. 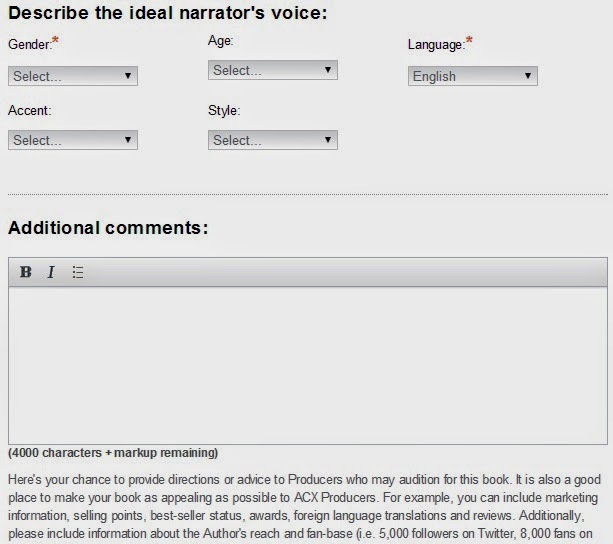 If your book is fiction, make sure it the section you upload has two or three different character voices so you can see how the narrator approaches them. If your book is nonfiction, include a section with quotes, to see how they voice them. When I listen to the audition for this, it gives me a good idea of what the final book will sound like. After you’ve uploaded your sample click ok at the bottom of the page and you will be directed to the final page of information ACX needs to collect. At the top of this page, you’re asked to type in how many words are in your book. When you do this, they estimate how many hours your final production will be. Where it asks for territory rights put in the regions you hold the copyright for. The default response is the world. If you only hold rights for one country or territory list that location instead. Royalty share. The narrator/producer covers the entire cost of production and does all of the work associated with it. When the audio book goes up for sale, you split royalties 50 / 50 with them. ACX handles all of the details and pays each of you separately. 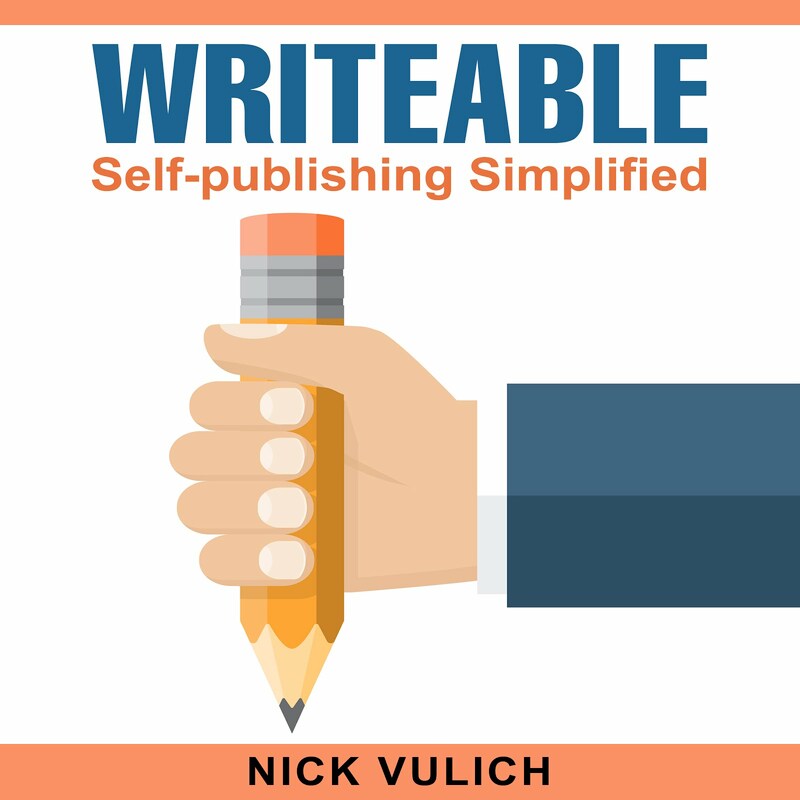 Your only responsibility is to upload a book cover (2500 x 2500 pixels). Pay for production. You pay a narrator /producer to make the audio book for you, and in return, you receive all royalties earned from sales of your audio book. If you choose this option, you can enter the amount you are willing to pay per hour of finished audio. The going rate is $200 to $400 per finished hour, although I have seen some producers offering to work for as little as $50 per hour, and others listing their rates at $500 or more per finished hour. After you select your payment method, you are prompted to select the type of distribution you want. If you selected royalty share, your only option is exclusive distribution through Audible, Amazon, and iTunes. Your royalty is 40%, and it is split 50 / 50 between you and the producer. 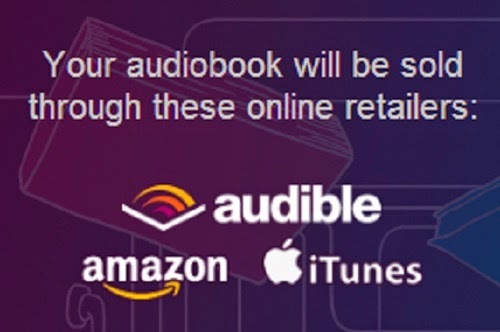 If you paid for the production of your audio book, you can choose non-exclusive distribution. This lets you sell through Audible, Amazon, iTunes, and other methods of your choice. Your royalty this way is 25%, and you keep all of it. After you’ve made these selections, click Save & Continue to move to the final page. This page summarizes your information and gives you the option to post your information to ACX. If you already have the book on audio and want to distribute it through ACX, chose the second option – I have this book in audio and want to sell it. Follow the prompts to list your book through ACX. You need to choose the territory you have rights for, select exclusive distribution through ACX (40% royalty), or non-exclusive (25% royalty). After you do this, you move to the next page and agree to ACX’s terms of service. The final page allows you to give information about your book, and post it for sale. The last option is to record your own audio and upload your book yourself. If you choose to do this ACX offers a number of tips on how to do the best job possible. You may also want to check out How to Create an Audiobook for Audible by Rob Archangel and Buck Flogging. They explain the process in more detail and talk about the equipment you need to make a good recording. My experience with ACX has been amazing. Their interface is easy to use. You are prompted to include the proper information every step of the way, so it’s unlikely you will mess anything up. Within hours of posting my books, I received dozens of auditions, many of them from producers with years of experience doing voiceover work and narrating eBooks. My first four books were ready and up for sale in less than three weeks. The first week my audio books were up for sale we sold fifty-eight copies. The key to getting good results is to carefully listen to each of your auditions. Ask yourself if the narrator’s voice and tone match your book. Most often I know within the first ten seconds of listening to the audition if the narrator is a good fit for my book. Trust your gut. If it sounds good to you, it will probably sound good to other listeners. If you’re not sure about a narrator, pass on the audition. There are plenty of producers and narrators looking for good projects, and they will find your book if you give them time. Final thought. I listed twenty-three audio books for production in the same week. As a result, I went with the royalty share option on all of them. It saved me money up front, and it allowed me to get all the projects going at the same time. If I had it to do again, I would cherry pick my books, and pay for the production of my bestsellers up front. Over the long haul, I would probably make thousands of dollars more in royalties. ACX pays royalties a month after they are earned, so the money begins flowing in quickly. Payments are deposited directly into your bank account, and they mail out a printed earnings statement a week or two after royalties are paid out. They pay a bounty on each book you sell that brings in a new subscriber. Bounties are $50 for the first purchase made by an Audible listener member. The qualifier is they must remain members for a minimum of sixty-one days. If your book is on a royalty share deal, you receive $25, and the producer of your book receives $25 for each bounty paid out. I’m currently getting one bounty for roughly every 200 sales. So that works out to between three and four bounty payments per month. As time goes on, hopefully, that number will go up. Audible has another unadvertised program to help boost your sales. They’ve sent me twenty-five free download codes for several of my books with a suggestion that you raffle them off on your website, blog, etc. to draw new readers. From my understanding, you receive royalties for each book downloaded with the free code and receive a bounty if the purchase is eligible for one.